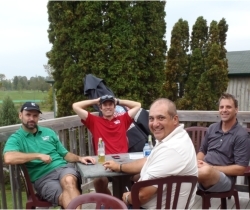 ClubEG is a neat style of golf club where members get to play 50-plus great Ottawa-Gatineau area courses, participate in year-round social and competitive events, track their official handicaps through Golf Canada and take advantage of an ever-growing suite of member perks. As the parent company of the Slammer Tour, ClubEG also runs a variety of other golf events and activities for both social and competitive players. All ClubEG Members receive member rates on the Slammer Tour. Every year in August, two-person teams in multiple divisions take a shot at the city title. 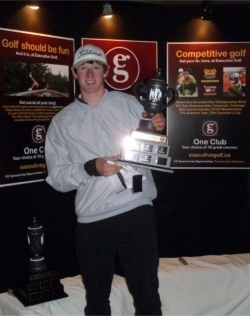 As a Golf Canada-recognized golf club, ClubEG presents its annual Club Championship in late September and early October. Typically designed for 40 people, these weekend or week-long get-aways are anywhere from one-to-four hours away, by motor coach or carpool, or more distant locations, and are meant to appeal to social and competive golfers alike. Tricky to schedule, since winter can come either early or late, but much like the ClubEG Spring Opener, this full-field event is a chance to hook up with fellow club members, in this case, before the off-season kicks in. 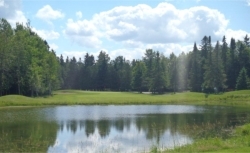 Get yourself a ClubEG Golf package here!